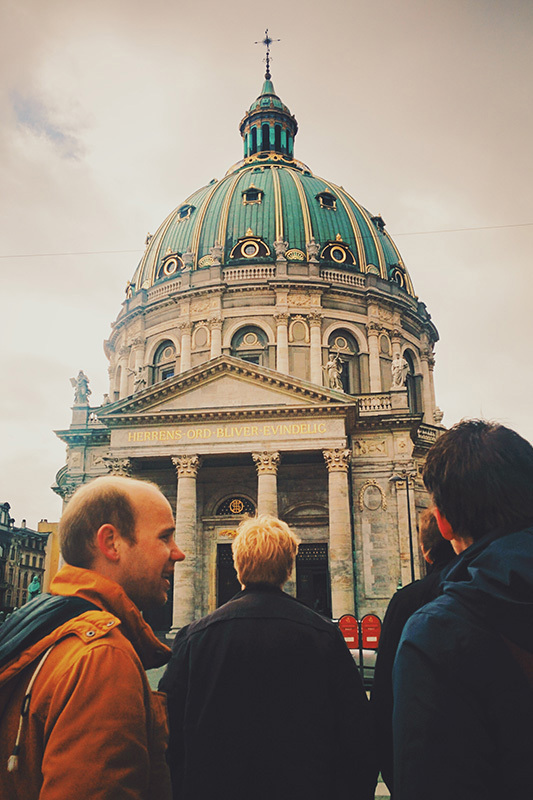 Copenhagen was one of our most anticipated cities to visit on the trip. Although, it was my first time and it was actually Rob’s 2nd visit to the Capital we both had a lot of things we wanted to see. This was our last stretch of the holiday, and although the weather was pretty terrible, it was a really brilliant city to end our holiday. 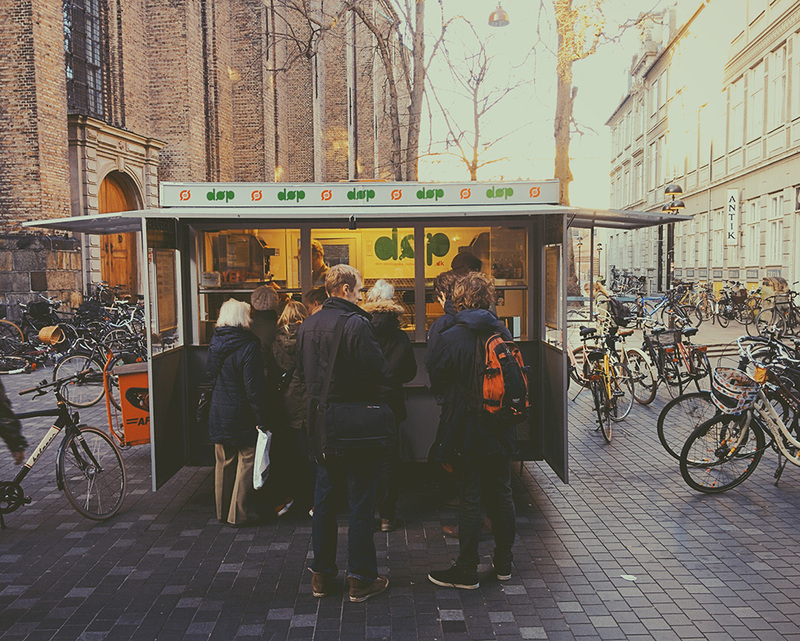 Copenhagen is an incredible foodie city, and before I started researching the city I really had no idea to it’s extent. Every Dinner, Breakfast and Lunch was an eye opener and a great experience. 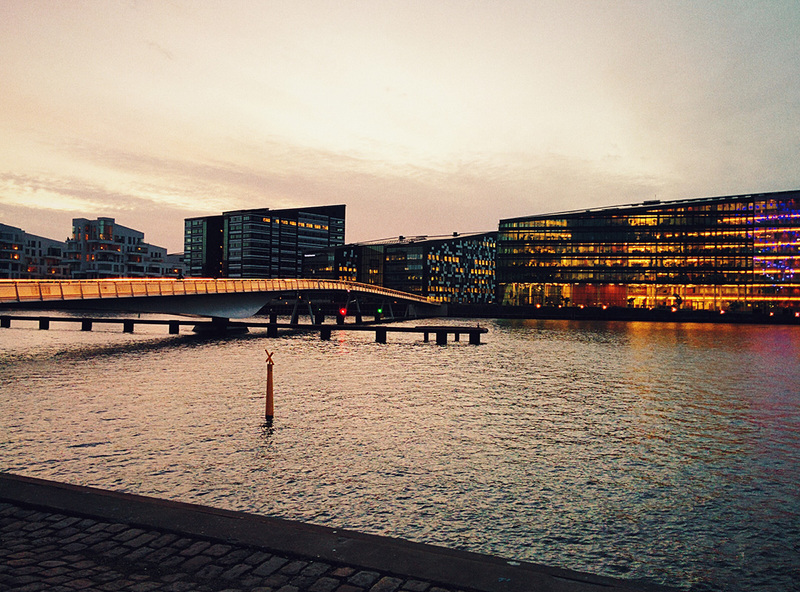 Most evenings we went down to the meat packing district in the district of Vesterbro, which was quite a windy blistery walk over the bridge in the evenings but was totally worth it for the cultural melting pot down in the old renovated district. 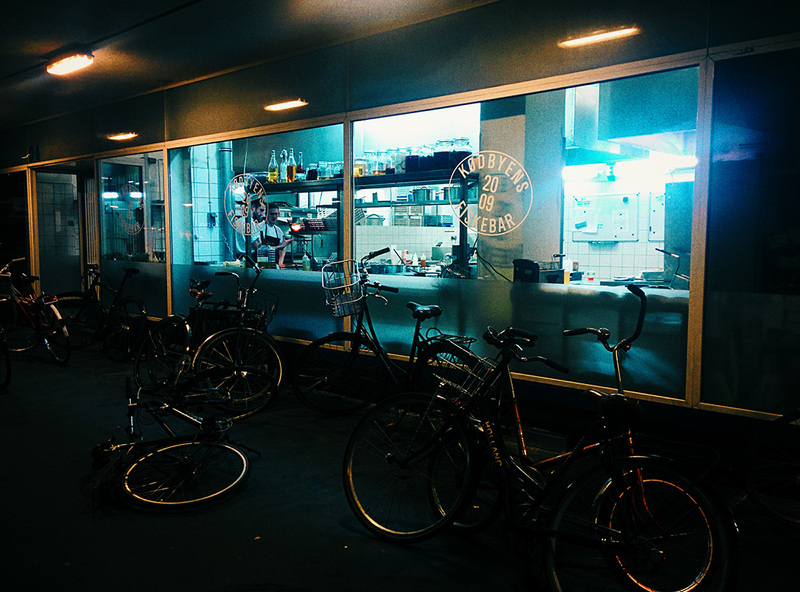 In a city like Copenhagen, everything can be quite pricey but one of the gems that we found was the pizza restaurant Mother. This was without doubt one of the best pizza restaurants I’ve ever been to. Not only was the décor modern, fun and on trend but the food was just perfect. They specialise in Italian sourdough pizzas and oh my do they specialise. I went for the simple Margherita, which I just found superb. As a finishing touch, each table is brought a fresh basil plant in a small tin bucket so you can simply pick off a sprig and have powerful fresh basil on top of your handmade sourdough pizza…. just wow. Ok, now I’m hungry. Nose to Tail is where Rob brought me to celebrate my 25th Birthday, and alas it was our final night. Nose to tail is located in the centre of the meat packing district in the basement of one of the buildings which seemed to of been a meat fridge or something similar before renovation. They have kept some of the decor true to it’s past but have added small cute details, like little mirrors all over the white tiled walls, candles, also all of the delft being mismatched and printed. Their ethos is to use the whole animal so no wastage is caused, which is quite inspiring. You have a choice between offal, fish and meat so you do have some say in your choice, also there are some other menu items that are constant such as beef tatar and different starters. The meal was fantastic, as was the inhouse ale. 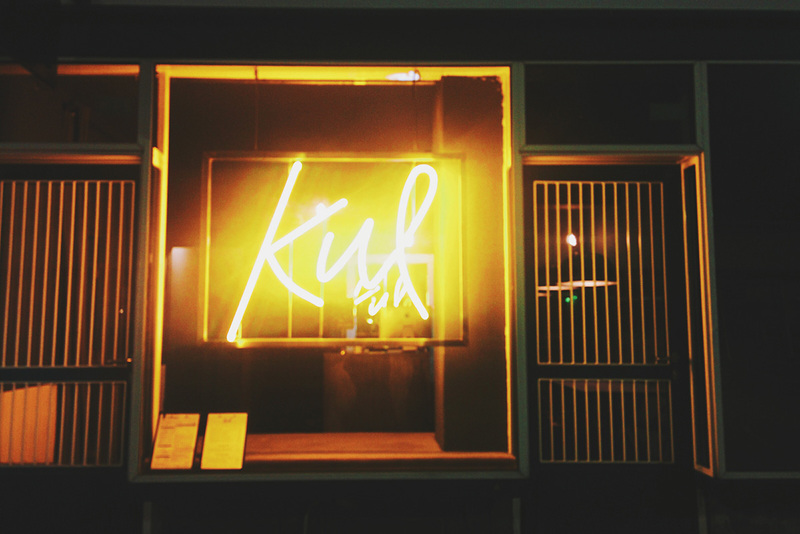 Overall it was a memorable dining experience and I would definitely go back. 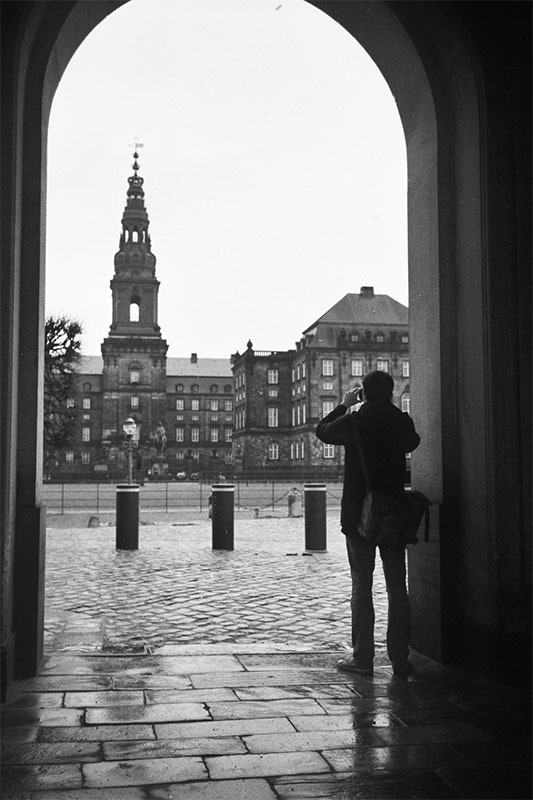 Moving on, Christiansborg Palace or Borgen as people call it, is the basis for the hit Danish tv show, Borgen. 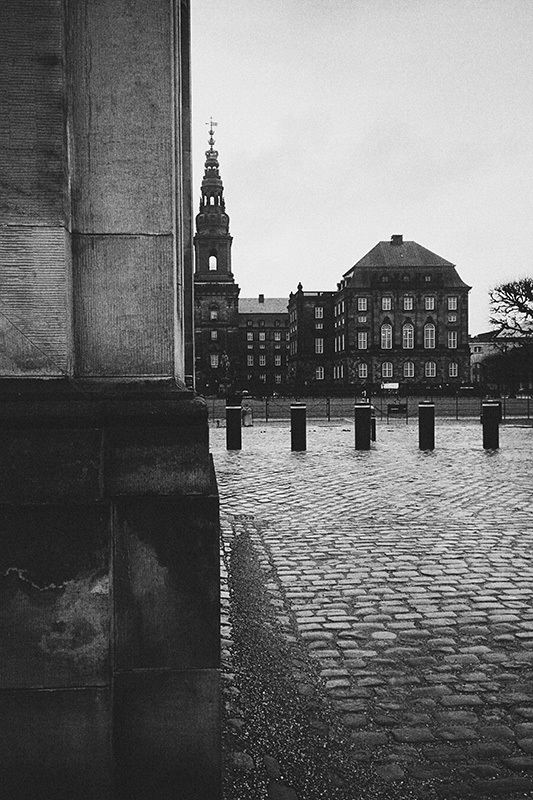 This is a tv show that we love to watch, and something that really attracted us to visit Copenhagen. The grounds of the palace are actually quite stunning, and really interesting to walk around. We spent quite a bit of time on 2 occasions just wandering around. We didn’t actually go inside the palace as it was quite pricey and there always seemed to be a que… I don’t think we missed out on much though. 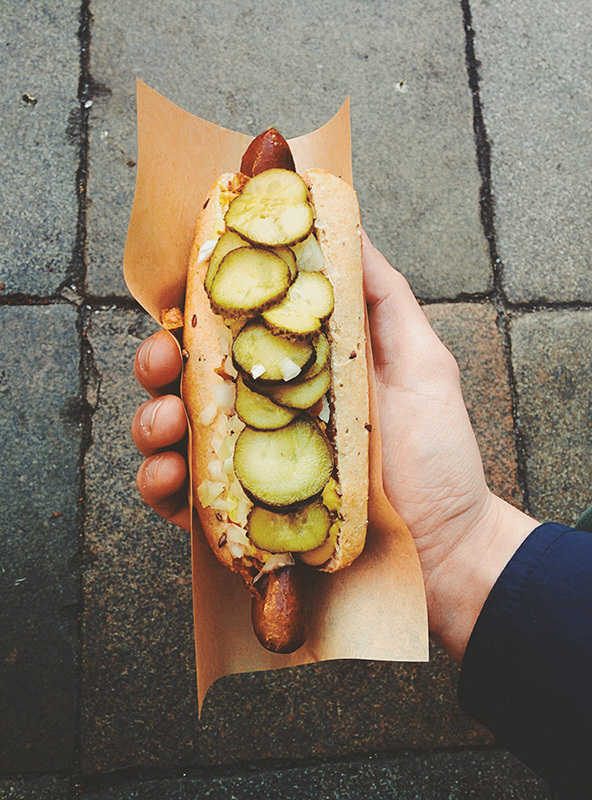 One of the best places to eat in Copenhagen isn’t just the World renowed “Noma” but actually a hot dog stand. Den Økologiske Pølsemand (the organic hotdog man), or Døp for short, is next to the Round Tower in the city centre. They serve grilled pork and beef sausages with buns made from slow-fermented sourdough bread and linseed. You can choose from different mustard and sauces, and whether you want pickled gherkins or onions on top. We went for the lot, it was quite fantastic… especially with some organic rhubarb soda to wash it down. 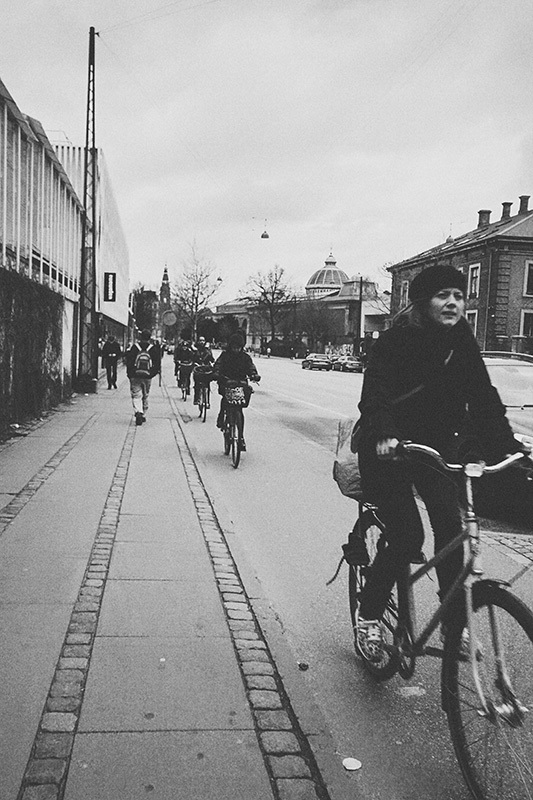 Copenhagen is a fantastic city for cyclists, it’s quite similar to the Netherlands where the cyclist is given proper road ways to cycle to work, college, or just popping to the shops. It’s treated as a normal part of life to get from A to B, unlike in Ireland where cyclists are seen as a hazard on the road and therefore should be shoved off the roads. We should really be looking to cities like Copenhagen as an example of how to do it right, and to see how successful it is for everyone. 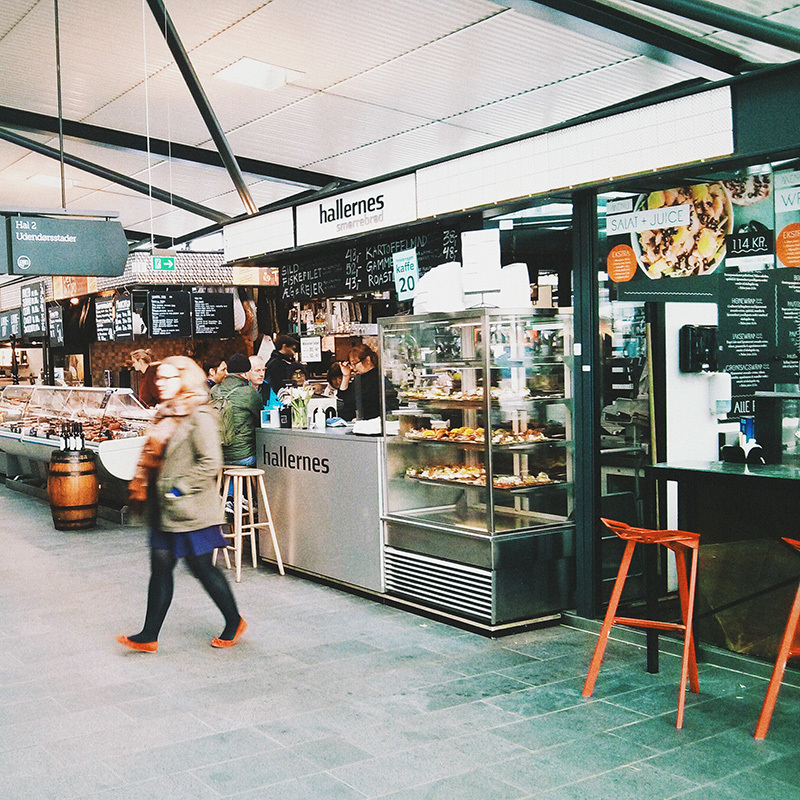 Torvehallerne is one of the nicest food markets I’ve ever been to, it’s located really close to Nørreport Station. We kind of just stumbled upon this market rather than searched for it, but when we went inside we actually spent quite a long time walking around, as there are over 60 stalls, all quite unique and trendy. This is something that I would adore, even in a micro version in our area. Something open everyday and so at hand, it would encourage everyone to shop locally and in season. There really isn’t anything like some Danish interior shopping. It’s simply outstanding the selection and accessibility of interior pieces. 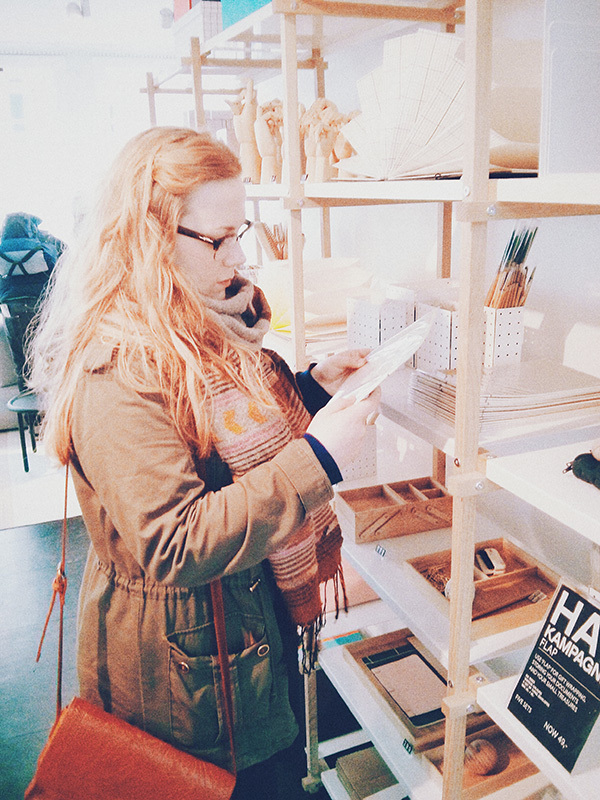 The dream would be to design our whole house interior from Danish stores. 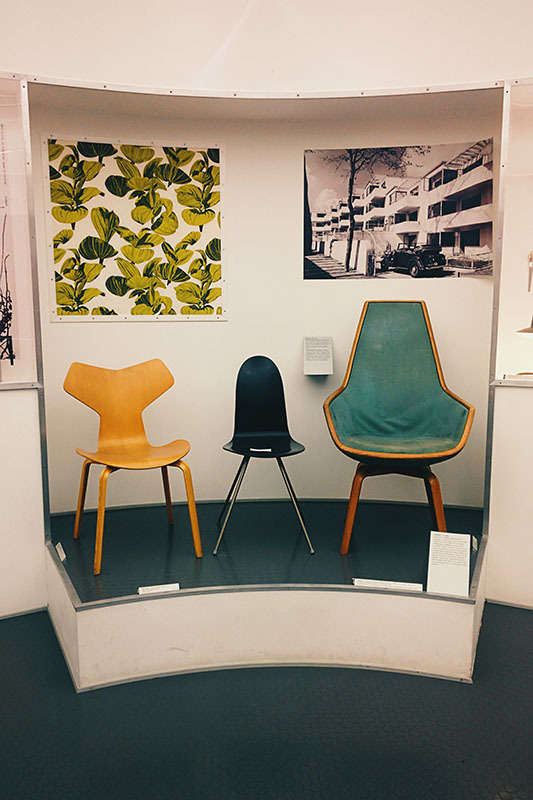 Copenhagen also has a design museum showcasing some of the critical movements in design from Danish designers. It was actually a really great exhibition, and was free in if you’re 25 or under. Copenhagen was an amazing city to visit, there was just so much stuff to see and do and I would recommend it to nearly everyone. 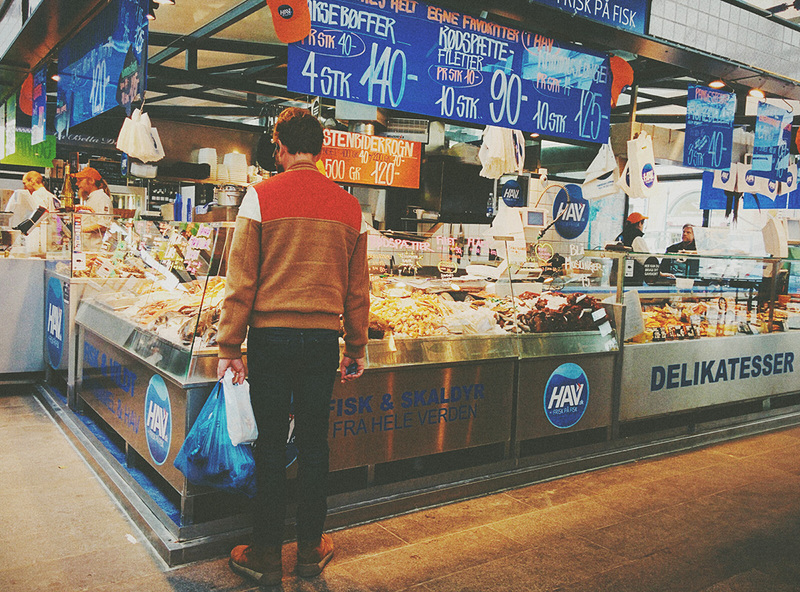 The foodie, the shopaholic, the street wanderer, and of course the arty cultured folk too. Flights go directly to Copenhagen city, some people even cycle from the airport to the city centre, that’s how close were talking. 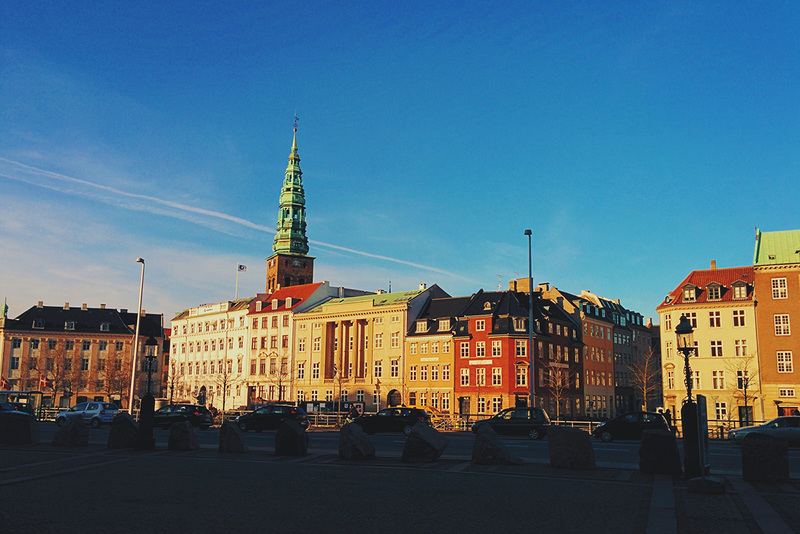 Have you ever been to Copenhagen? or are you maybe thinking of going soon? Next Blog post to follow will be some real Danish pastries!